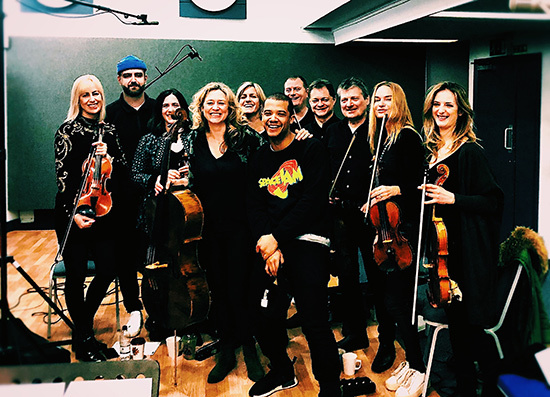 A year since they recorded ‘Straitjacket’, Rosie Danvers and Raleigh Ritchie are back in the studio recoding strings for his highly anticipated second album. They recorded two tracks, one produced by ‘Grades’ - Dan Trainer and the other by long time collaborator Chris Loco. Strings Arranged by Rosie Danvers, Performed by Wire Strings, Strings produced by TommyD, Engineered by Nick Taylor and Recorded at Air Edel Studios, London.